It really IS that easy to make...: Grilling! 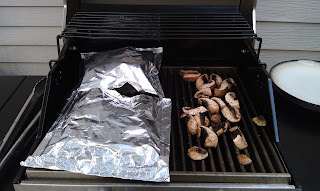 Until last March, when we got the keys to our house, I didn't have many opportunities to learn to grill since we'd been living in an apartment since we got back from our honeymoon, and I was in an apartment before that.... The time had finally come to buy a grill and do some learning.... but last summer we were exhausted from all the things that come with a new house, and we didn't put much effort into grilling. Nick made some kebobs and probably burgers, but I never tried anything myself. 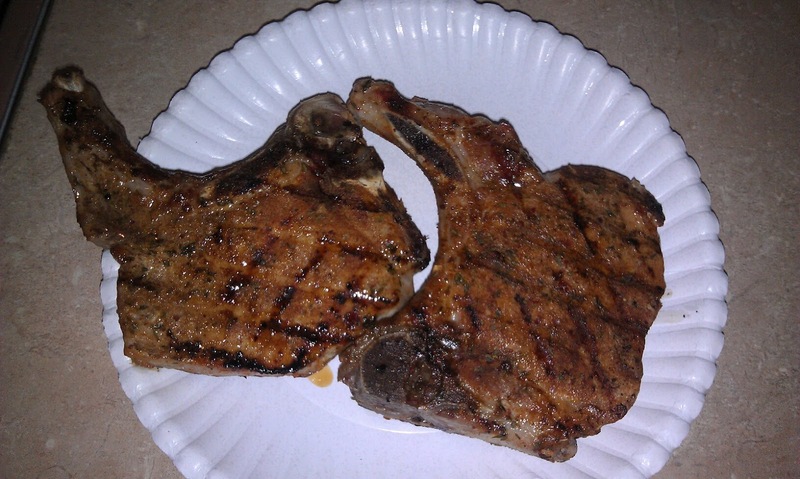 Last week I saw some pork chops that were tempting, even though I don't really like pork chops. Thought I'd try them out again, so I got a pair of bone-in chops that were less than an inch thick, and I coated them in a dry rub and let them sit overnight... 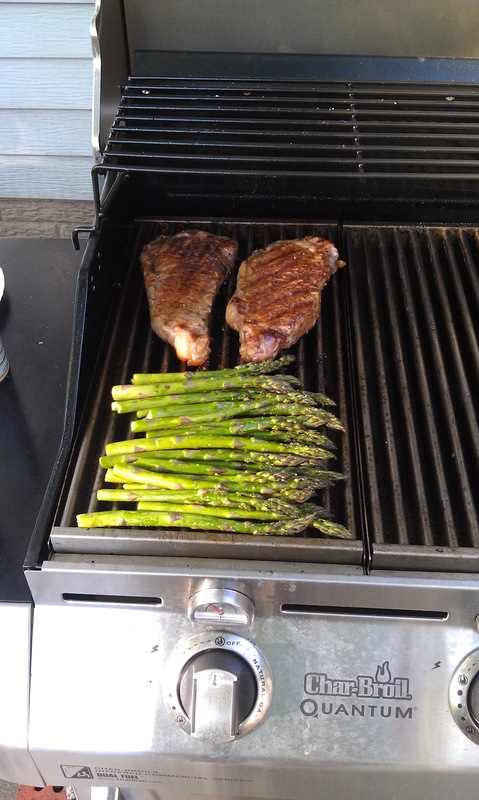 The next day I attempted my first ever grilling session, to major success. DELICIOUS! MOIST! EASY! I was so excited. 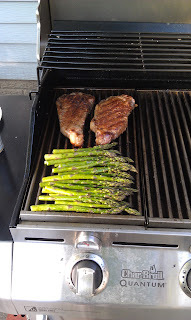 The next day was beautiful too, so it was back to the store for me (luckily at the end of my street), this time to get some steaks and asparagus. I put a different rub on the steaks and grilled those, and to my delight, they also turned out exactly how I like them. Nick seemed pleased too. Saturday I already had dinner plans, but Sunday, back to the store again to stock up on more things to grill. Salmon, chicken, more pork chops, portabellas, zucchini, squash.... 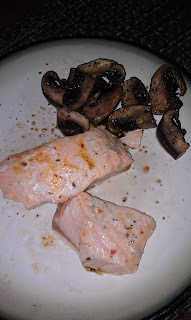 This time dinner was salmon (pre-marinated by the store) in foil packets, with big chunks of portabellas seasoned with oil and McCormick steak seasoning. The salmon turned out extremely moist and flavorful, but also completely cooked through. Tonight, as long as the weather cooperates, I'm grilling chicken with a side of zucchini and squash. I bought thin cutlets so they'll probably cook really fast. I have some marinade I might try, or maybe a different dry seasoning. I also want to try pizzas, shrimp, ribs........ once I get the basics down, I'll be consulting all of my cookbooks for the "fancy" stuff.